A close tight first-round match-up is certainly on the cards as Canberra – coming off the back a maiden finals appearance last year – hosting a Gold Coast SUNS outfit that will be eager to get back to finals football. The Demons will be keen to turn their underdog tag into premiership contenders by starting their season off on the right note in-front of a home crowd, against an AFL club also looking to get back on its feet after a lean few years on the field. This match will prove pivotal in building confidence early in the season with such an even and competitive competition heading into 2019. The SUNS are coming off a comprehensive victory over AFLQ side Palm Beach and a loss the Brisbane Lions NEAFL side in the practice matches, whilst Canberra also recorded a win and a loss against the GIANTS and Sydney respectively in the lead up to Saturday’s season opener. It’s anyone’s game, and the contest will be a treat for football fans to kick off 2019. Round 5, 2018: Canberra Demons 11.14 (80) d Gold Coast Suns 7.9 (51) at UNSW Canberra Oval. Round 13, 2017: Gold Coast Suns 19.8 (122) d Canberra Demons 5.10 (40) at UNSW Canberra Oval. Round 13, 2016: Gold Coast Suns 16.13 (109) d Canberra Demons 15.7 (97) at UNSW Canberra Oval. 1. Canberra will be wanting to make a statement early in the season to set the tone, and more importantly build consistency which was an issue for the young team in 2018. The Demons began last season 0-2 after much hype in the pre-season – a situation they will want to avoid this time around. Practice Matches against two AFL sides will put them in a better position than in 2018, after only battling against Ovens and Murray league teams in previous years. 2. After missing out on finals last year because of a raft of injuries hampering their season, the SUNS will be wanting to make the most of a fairly healthy squad coming off a full AFL pre-season. The SUNS will likely field close to a dozen AFL-listed players for the match up in Canberra, and will be eager to give the home side a run for their money. 3. Canberra’s second and third year players will be looking to take their games to the next level and prove they are future stars of the NEAFL. This stems through the midfield with the likes of Jack Powell, Lucas Meline, Mitchell Hardie and Tom Highmore and Alex Smout down back. An even contribution all over the park is crucial if the Demons want to go all the way in 2019, and coach Kade Klemke will be looking for a true team effort this weekend. A player to watch going into the match will be the No. 6 AFL Draft pick, Ben King. Standing at 202cm tall, the Gold Coast draftee is a versatile key position player and can make an impact at either end of the ground. 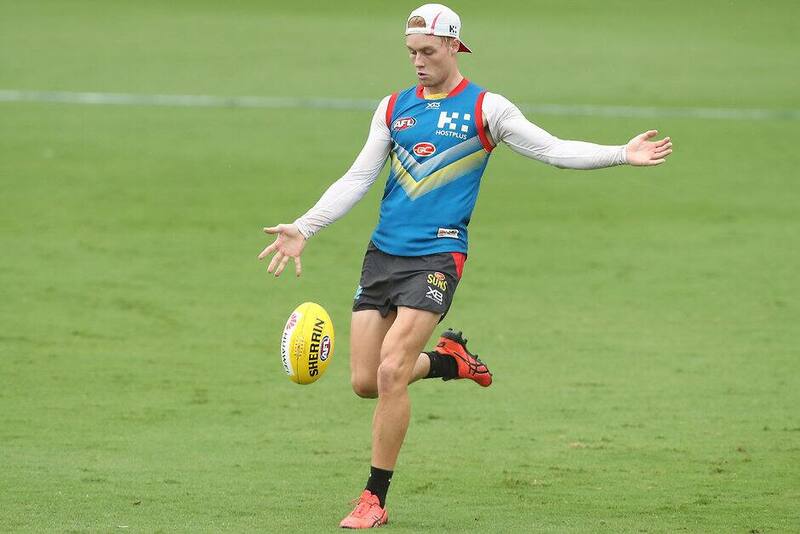 After kicking two first half goals in a practice match against the Lions last week, King will be looking for some early season form that could possibly see him get some early games in the SUNS’ AFL side. Hit-outs are going to be a key statistic for both teams’ ruckman heading into the match as the team that will be able to get their hands to the ball first will have a key advantage. Both teams were poor in this area last year ranking eighth (Canberra) and 10th (Gold Coast). Gold Coast by 10 points.